BMW 435i M Sport As practical as it is fun to drive, this beautiful BMW belongs in YOUR driveway! With 3.0 straight 6 cylinders built for speed, the 4 series is sure to please the car lover in everyone. 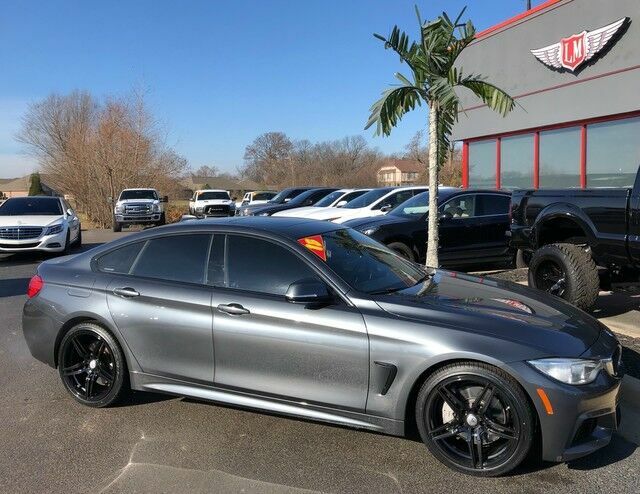 Loaded with options, this vehicle boasts Brand new 19" Asanti wheels and brand new tires, Carbon fiber accents, Heated seats, Navigation, Backup cam, Adjustable driving modes, On-screen sport display, Heads up display, premium package, Bluetooth, Ambient lighting and so much more! Only 77,526 miles for ONLY $22,900! Ask about our extended bumper-to-bumper, unlimited mile warranties for the peace of mind to match this AMAZING vehicle!